Horizontal Motorized Test Stand MH2 Series | IMADA CO.,LTD. *1 Max. sample height refers to the distance between the table and the tip of force gauge measuring shaft when the head is at the top. *2 ZTS/ZTA series force gauge and optional cable CB-518 are required. *3 It does not guarantee complete protection against overloading. *4 Add the option code after the model name to complete the model with options. *5 Capacity is reduced as below by some speed change options of MH2-500N. 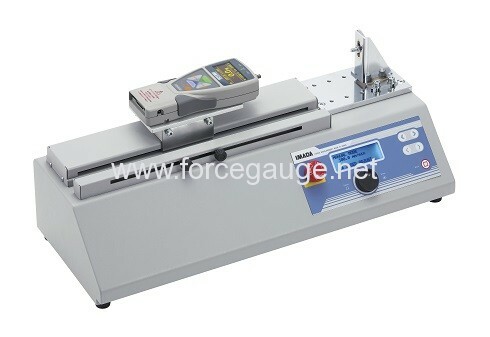 *6 Ensure to use within the capacity of force gauge and test stand regardless of the mountable models.